At least 71 of Gov. 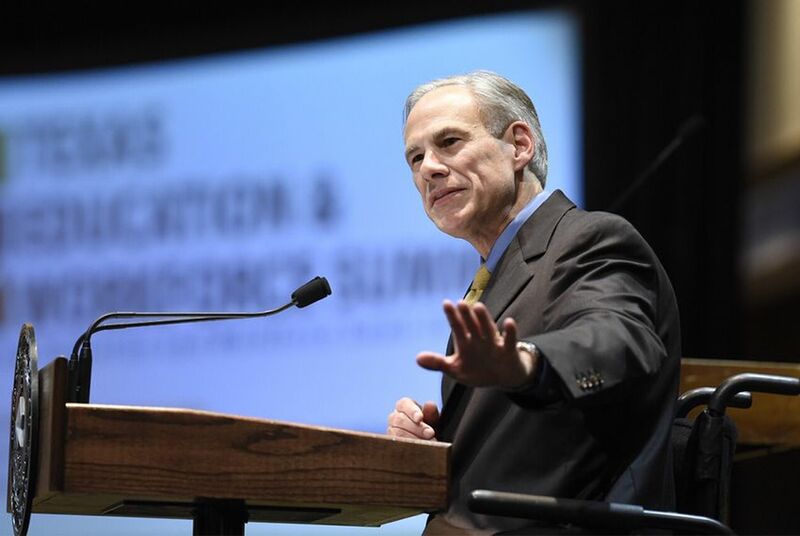 Greg Abbott's nearly 800 current state board and commission appointees appeared to have donated more than $2,500 to the governor's campaign account since 2013. Legislation that would have ended “pay for play” appointments by the Texas governor has stalled at the Capitol, which seems like good news for big political donors hoping Gov. Greg Abbott will appoint them to state boards and commissions. At least 71 of Abbott’s nearly 800 current appointees appear to have donated more than $2,500 to the governor’s campaign account since 2013, giving a combined total of at least $8.6 million, according to a Texas Tribune analysis of campaign finance reports and a list of Abbott appointees received from the governor's office through an open records request. The legislation would not affect current appointees. Some of the biggest donors have key roles at higher education and wildlife agencies, landing gigs at the Texas Higher Education Coordinating Board, on university systems’ boards of regents and at the Parks and Wildlife Commission. Oil mogul Syed Javaid Anwar, whom Abbott appointed to the state’s Higher Education Coordinating Board in 2015, donated more than $1 million to the governor's campaign account since 2013, according to the Tribune analysis. Texas A&M University System regent appointee Robert Albritton and Parks and Wildlife Commissioner Kelcy Warren, both energy executives, each gave more than $700,000. “Governor Abbott selects and appoints individuals he believes are the most qualified and capable of bringing excellence to the organizations in which they serve. Any suggestion to the contrary is absurd,” Abbott spokesman John Wittman told the Tribune on Tuesday. After Abbott listed ethics reform as one of four emergency items for the Texas Legislature to tackle this session, the House passed a bill that would disqualify any of the governor’s big donors from appointments to state boards and commissions. The legislation would end the practice of handing some of Texas’ most prestigious nonpaying jobs to wealthy supporters. House Bill 3305 by Rep. Lyle Larson, R-San Antonio, would only allow a governor to appoint a political donor if they contributed $2,500 or less in a year to the governor’s campaign accounts. The bill was sent to the Senate, which approves the governor's appointees, this month, but has not been referred to a committee for consideration. The bill would also include in a donor's total any amount given by a spouse or dependent child. The Tribune analysis did not look into donations by a spouse or child unless they were listed with the appointee on the donation report — for example, Mary and Robert Albritton. The list of appointees provided by the governor didn’t include previous appointees whom Abbott tapped to lead some of these commissions, like Houston billionaire Dan Friedkin, the owner and CEO of Gulf States Toyota. Friedkin, appointed to Parks and Wildlife by former Gov. Rick Perry, has given Abbott more than $700,000 since 2013; Abbott designated Friedkin to chair that commission in June 2015. Disclosure: Javaid Anwar, the Texas A&M University System, the Texas Tech University System, John Nau, Stuart Stedman and Gulf States Toyota have been financial supporters of The Texas Tribune.